If you are a parent then more than likely the Washington D.C. area will be on your bucket list of places to visit. I fell in love with the area on a recent visit and discovered it is a destination that I would like to visit more often. There is so much to see. 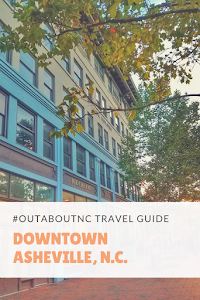 No doubt traffic can be a pain to get there once you get close to the city, but from Raleigh, N.C, it really is possible to go for a weekend or better yet, a three-day weekend. 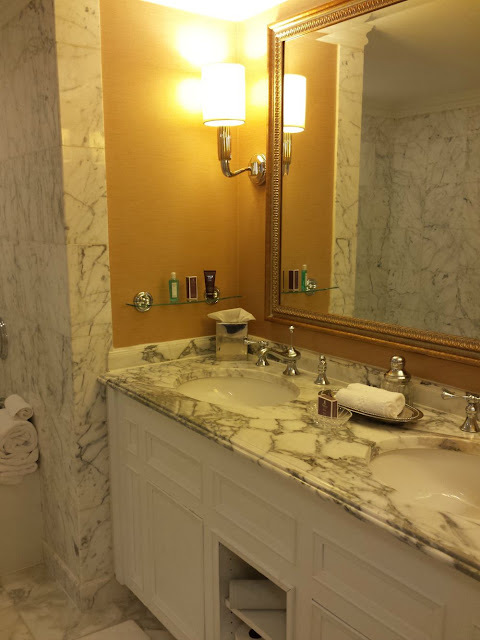 When I planned my D.C. trip, I wanted to get a feel of different hotel locations in the city. After polling my Facebook community's wants, I was challenged with finding a luxury hotel property that was outside of D.C. where a family's travel dollars could go a little further per night than at a luxury hotel in the city. I want to remind you that I'm talking about luxury experiences for a good nightly rate, not hotel rates in general. However on that topic, I will add that even upscale full-service/ limited-service hotels are more expensive per night in the city limits of D.C. than if you stayed in Virginia or Maryland. 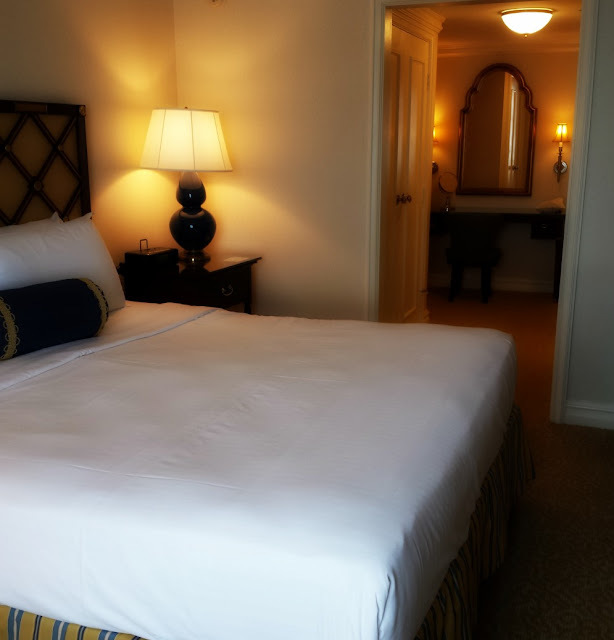 Staying outside Washington D.C, I discovered that you can stay in a luxury property for a better rate than perhaps at non-luxury hotels like Marriot Courtyard, Hyatt Place, or Doubletree by Hilton that are located within the city limits, depending on the time of your travels. The Ritz-Carlton brand already has a reputation for luxury so that was a good place to start on my quest. 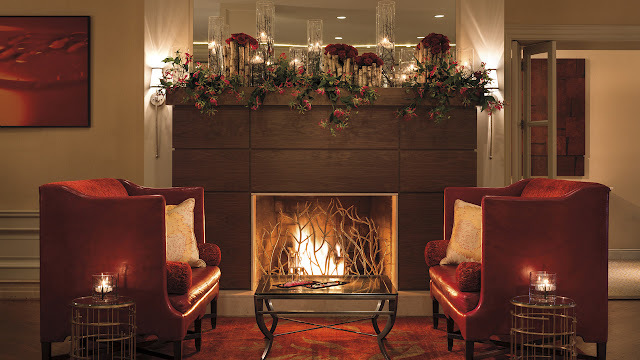 The Ritz-Carlton Pentagon City is in a fabulous location in Pentagon City, within Arlington, Virginia. Shopping and restaurants are within walking distance of the hotel (like right next door), and the Metro is right outside its door. 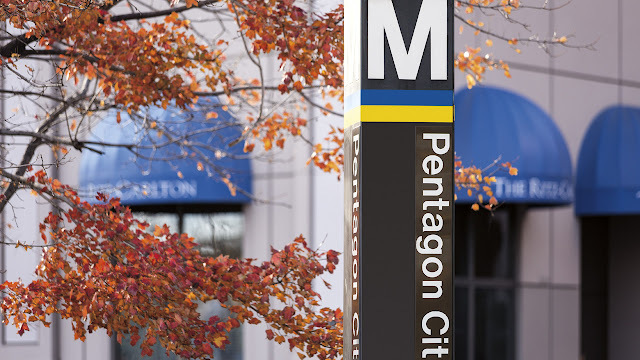 The Smithsonian stop is about a 10 to 15-minute trip from the hotel on the metro. Arlington National Cemetary is just two stops away. 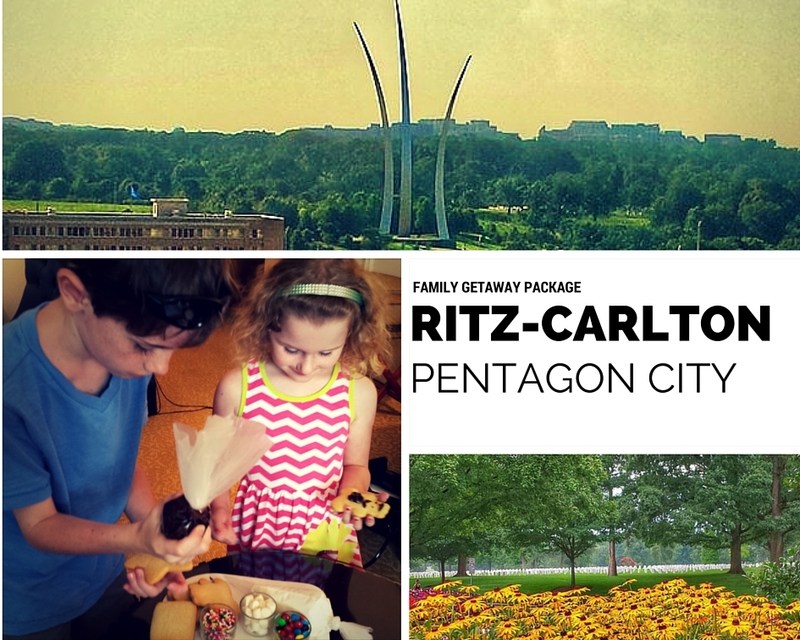 With the Family Getaway Package, families receive four complimentary metro passes daily, breakfast daily for two adults and two children, a complimentary in-room movie, and late check-out based on availability. Rates for this start at $294 per weekend night. What is the Luxury Experience? The luxury experience is when you check-in and can get champagne. Your kids have their own Ritz-check-in. The luxury experience is when you walk into your suite and the hotel has a surprise for your kids. They have a whole cookie decorating station in front of them. The luxury experience is a bathroom that the entire family could fit in then you invite an elephant, too. 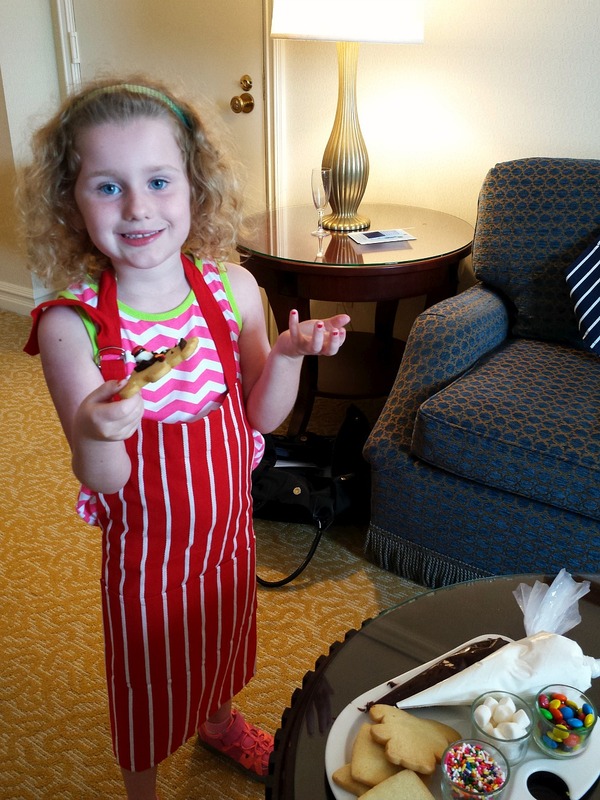 The luxury experience is the pastry chef hosting a candy making display in the lobby for guests to enjoy. The luxury experience is a breakfast buffet fit for a royal family in the Fyve Dining Room with smoked salmon and made to order omelets. 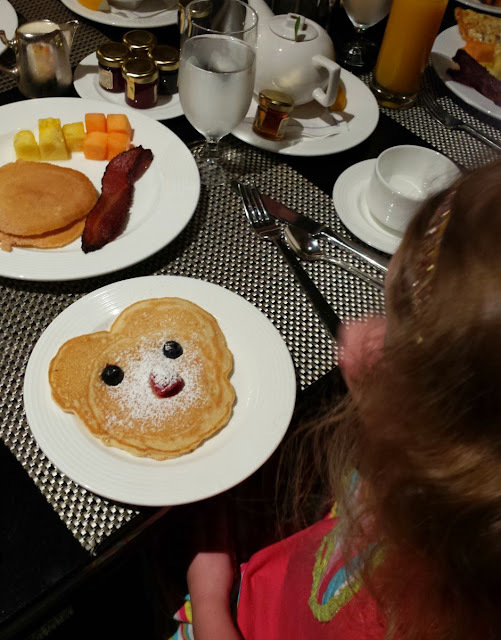 The chef also brings out bear-shaped pancakes to make a little girl's morning. 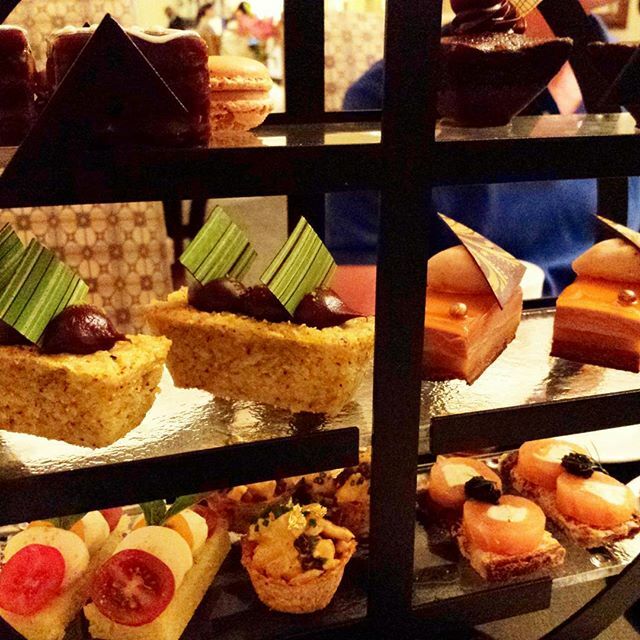 The luxury hotel experience almost always includes afternoon tea. I have that tea story on Examiner.com. The luxury hotel experience is having the space to enjoy gourmet room service while watching a movie. It may be a $12 burger, but you can count on it being a good one. Truthfully, I could go on about this, but you get the idea. Yes, luxury does cost more, but sometimes there is value in that price for the experience you receive. If given the choice of paying $294 per night for a stay in the Ritz-Carlton vs. the same price for a Courtyard Marriott in the city, where you still have to ride the metro to get all over the city or else your feet will fall off then I know what I'm choosing. Parking costs are also more in the city limits as well. We were placed on a club level floor for our stay in a 750 sq ft/ Executive Suite, which consisted of a king bedroom and living room with a pull-out sofa bed. This was my first time experiencing the club level amenities of culinary presentations throughout the day along with complimentary alcoholic and non-alcoholic beverages. It is a fabulous experience, and of course, more costly per night than regular room rates. I think it would really be beneficial for resort vacation stays. For quick city stays, where you are on the go or staying on a package that includes breakfast, it may not be worth the extra splurge. Club level room rates include access for two adults then each child is $25 extra per day and another adult is $50 per day. On a quick October weekend rate check for this story, rates for club level in an Executive suite like ours was $529 per night, and a club level room with a king or two queens was $379. I joked with Will and said, "once you go club level, it's hard to go back." That lounge is like heaven for a foodie. We were only there for one night, but I think I could have moved in, and in my mind, I kept picturing myself in a resort setting. (Think Grand Cayman or St. Thomas. Those links will help you get some visual if you need them) . 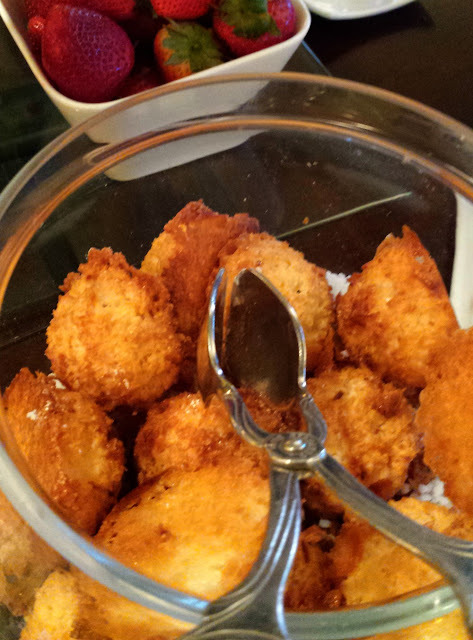 On a personal note, the pastry chef makes the best coconut macaroons. They were so good. 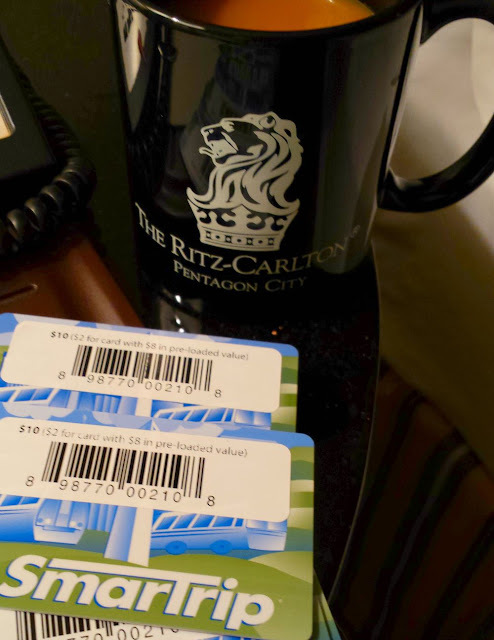 The Ritz-Carlton Pentagon City is the oldest Ritz in the Washington D.C. area, and even though it was beautiful when I visited, it's about to get a fresh facelift. Rooms and the club lounge will be undergoing renovations in the future. The Family Getaway package is only available on weekends. Disclosure: All opinions about this property including the macaroons and how club-level at a resort would be dreamy, are all my own. And I didn't touch on it in this piece, but this hotel property also has an indoor pool. It is a good size for a city pool, and it has a lifeguard on duty. Because of the pool for the kids, and the fact, Pentagon City serves afternoon tea, this was my favorite D.C. property I visited for the luxury value it offered. I was a media guest of the property and did have my own expenses while at the property. Affiliate links are in this post. Something new is brewing every Sunday on the HinesSightBlog, and I hope you grab your coffee and join me. When I started this blog four years ago, it started without a purpose. 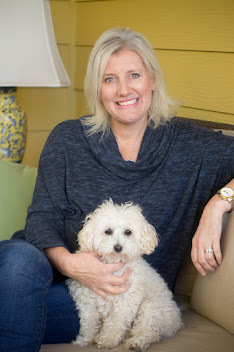 I was simply a stay-at-home Mom to two children who always had big career dreams of perhaps being a travel writer, columnist, and business owner. 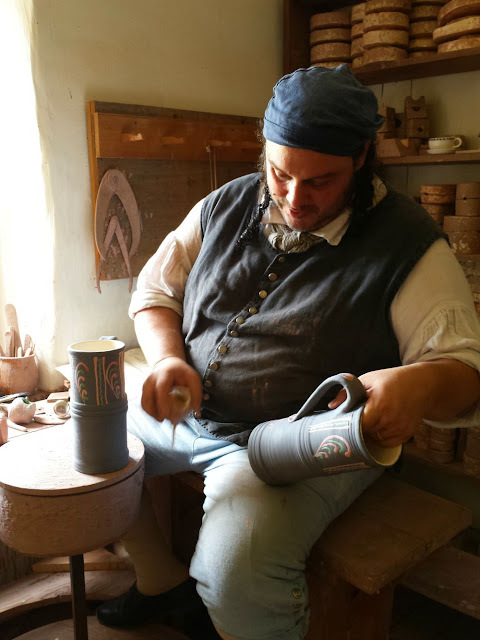 It was a joy to have this blog as my space for a creative outlet. I didn't have any social media handles back then and very little demands of my time other than my children's needs. I had time in 2011 to write and chat with other bloggers who shared some of the same interests as me. We shared recipes. We shared travels. But, more importantly, we shared stories. It was an inspiring time. 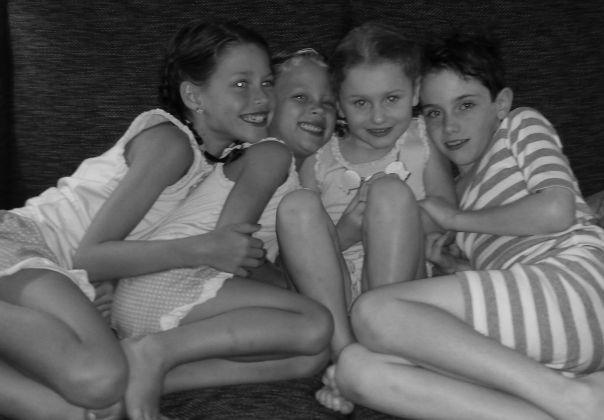 I met some of my new best friends thanks to my taking the guts to hit publish on a blog. 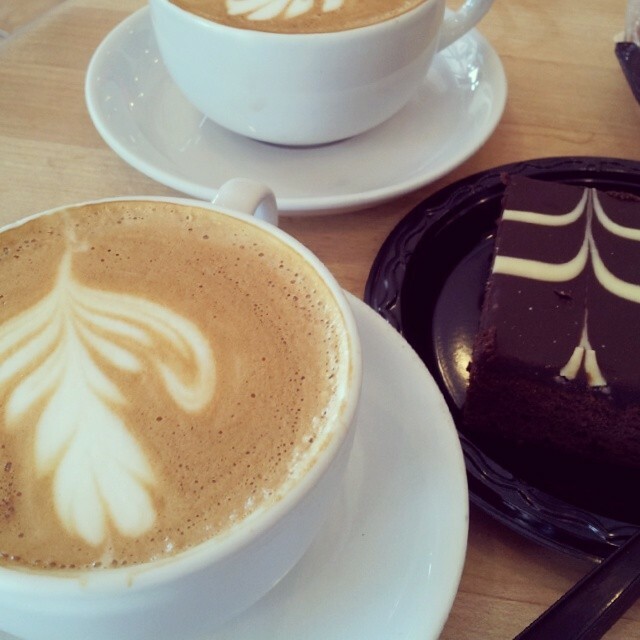 Coffee at La Farm Bakery in Cary, N.C. I enjoyed grabbing a cup of coffee, (back then it was tea, and now I'm back to coffee drinking in Raleigh), sitting at my desk and reading the internet. Truthfully, there is nothing like the early blogging days when you have the excitement of a blank canvas at your fingertips and the highs of meeting new people who have similar interests. 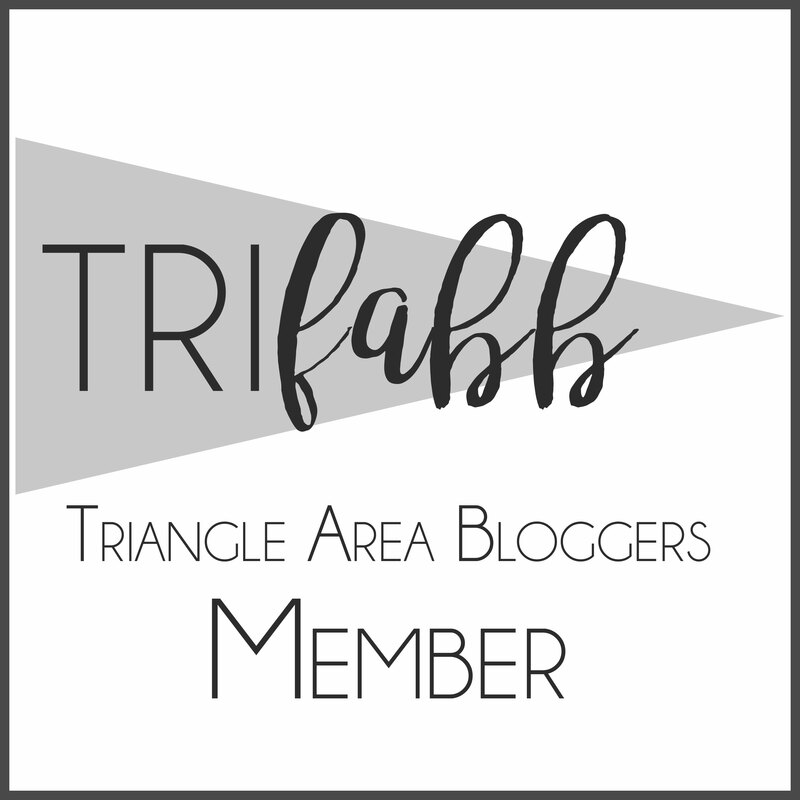 That feeling of nostalgia and the desire to get back to my original story sharing roots has led me to say yes to a fellow UNC-Chapel Hill graduate, Tanya of Mom's Small Victories, as a co-host for her popular "Small Victories Sunday Link-Up" where bloggers share their best content weekly. I've always liked to tell stories, but without the consistency of a schedule, those stories would always get placed on the backburner. We are all very busy people. Life is not always easy. In fact, it's hard. It can be demanding and difficult. Life is not always fun or happy. Tanya's positive theme of sharing small victories resonates with me as a way of changing the way we think toward positive inspirations. You're with me, right? It's like on a Friday afternoon you want to celebrate the small victory of getting through another week of school. You did it. 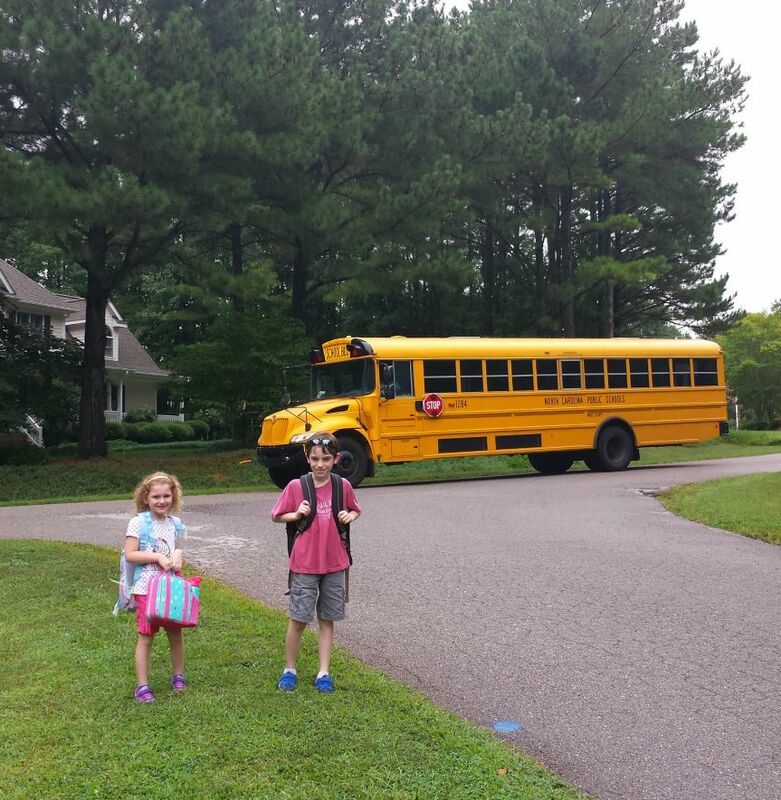 You got there on time, all papers signed, lunches packed, and they did not miss the bus. But, sometimes our small victories get lost in the big picture. It's time to change that way of thinking. For us, it really was a victory getting through school this week. We successfully completed one week of school and we all stayed alive. By the end of this week, I was sitting in the garage honking furiously as my 4th grader ran around the inside of our house trying to find his misplaced sunglasses. Thanks to that fiasco, we now have a spot in a place that his beloved glasses must rest each evening. And the youngest child? Well, she is doing great in kindergarten, but her precious teacher saw her wrath on Tuesday when another child broke her headband when she grabbed it off of Liza's towel during rest time. I had the following Class Dojo message from her sweet teacher. "Just a heads up. Liza's headband broke and she is so upset. She's having a meltdown and we cannot get her off the floor. I've tried comforting her." By the time I got the message she was fine, and I received a photo of her happily putting paper dots on her name later in the day. She told me she felt better when the assistant teacher fixed her headband by putting "duct tape" on it so she could wear it the rest of the day. Long lives the "Elsa blue" headband. It's now in the drawer where she keeps all of her other broken ones that she deems too special to throw away. It now lies in its final resting place with her beloved ivory and pearl headband. In other words, there is now more junk in her bedrooms drawers. And her teacher got a great story to tell her husband that evening. And my final small victory this week is that I made a trap to rid my kitchen of pesky fruit flies. I really cannot imagine life before there was "Google." Seriously, how did we do anything? 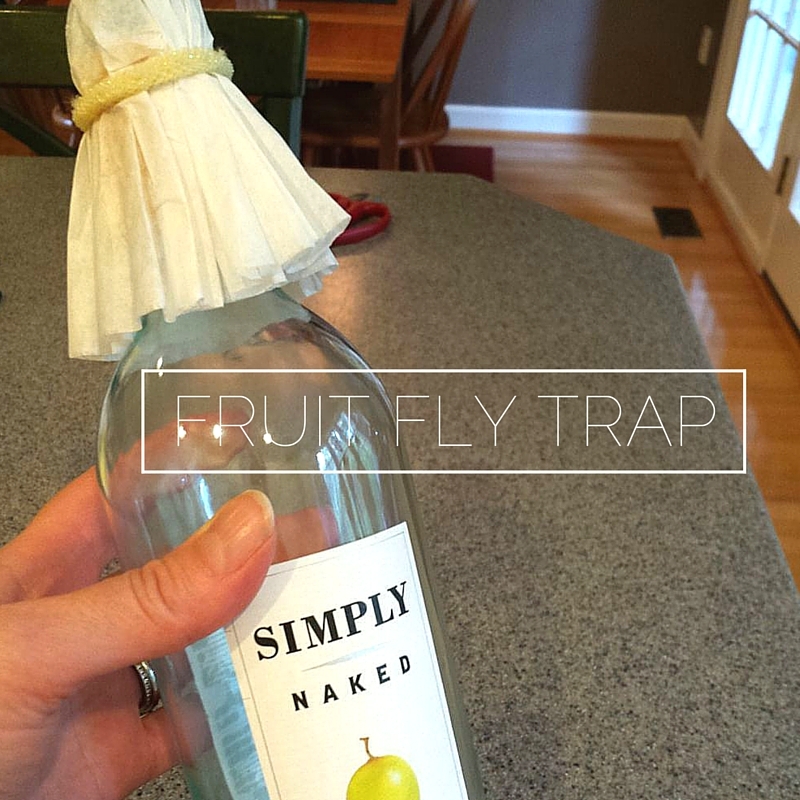 This fruit fly trap works best with white wine and a little honey. Cork the wine bottle with a coffee filter, poke a small hole into the filter, and leave the bottle on the counter overnight. The next morning, you will see fruit flies in the bottle. Pour hot water through the cone and they all should be dead. Repeat until all the pesky critters are gone. White wine works best. I tried ripe bananas in the bottle the next day and my instructions said the "fruit flies were too dumb" to fly out of the bottle. I don't believe that because I saw fruit flies in the bottle with the bananas, but the next day they were all gone, and the same was true for when I used red wine as bait. The only thing that worked for me was white wine, but I, unfortunately, drank all of my white wine and didn't have any left to trap fruit flies on day two and three. Fruit flies are a pain in my boot. Seriously, this is why I've not been on social media or have written another feature. I've been too busy going back and forth to school and catching fruit flies. Each week, I'll be sharing more things with you, and I hope we can connect a little. Tell me at least one small victory you had this week, and if you are a blogger this is your chance to link up your best content for everyone to find in one place. This linkup is open all week long so feel free to stop by anytime, it's never too late to linkup with us. Meet us all below and Tanya has given our blog subject interest next to our names. 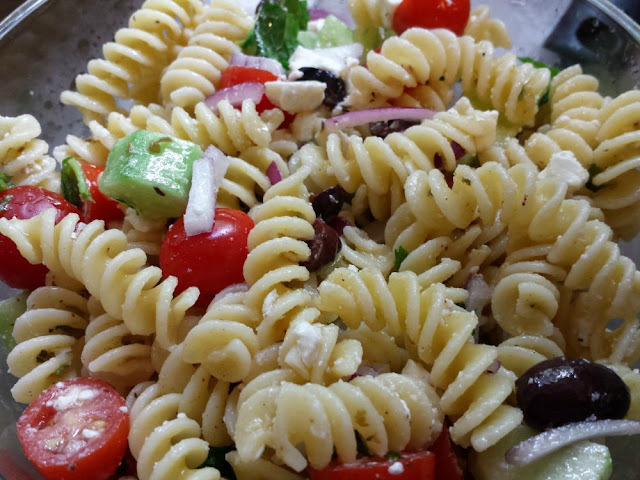 Each week, link-up hosts select posts to feature here. I'll be reading this week and will announce my favorite posts next week. Look to our current hosts this week to see what bloggers they featured. 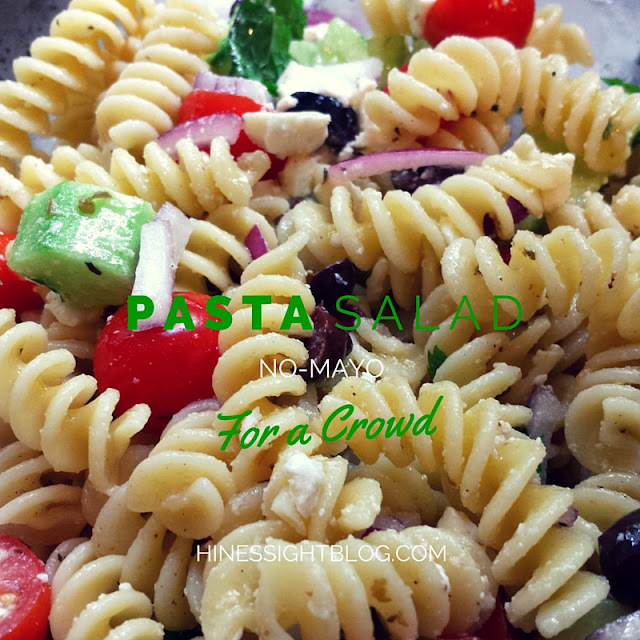 Be sure to follow the Small Victories Linkup weekly. 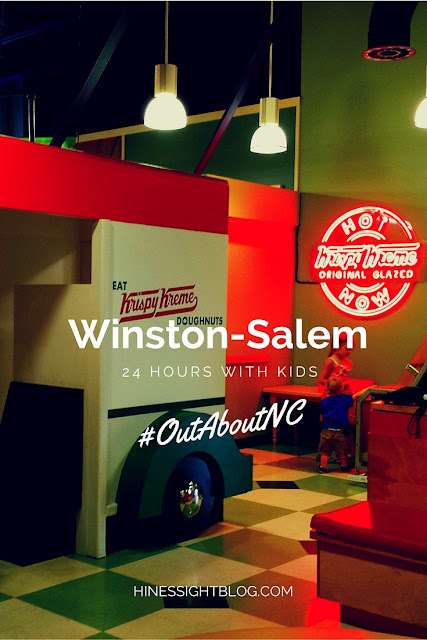 #OutaboutNC with Kids: 24 Hours in Winston-Salem, N.C.
Every summer I go on a mini excursion with my two kids, my friend, and her two kids. It's a party of six. We both live in the Triangle area so we always pick a destination where we spend at least one night away. This is our third time as two moms traveling together with kids. Together, we have visited Charlotte, Myrtle Beach, S.C. (which I try to forget because the hotel did not meet my standards, but the kids had a good time) and this year, we chose Winston-Salem, N.C.
Winston-Salem is less than a two-hour drive from Raleigh, N.C. This destination could easily be a day-trip from my hometown, but half the fun for us is having an overnight in a hotel. We turned our trip into an overnight so we could experience even more thrills. Our first kid-friendly stop was The Science Center and Environmental Park of Forsyth County, better known as SciWorks. If you are a local or plan to go to this museum often then a membership is the best ticket sold because once you buy a family membership for $95 then admission is free each time you visit. For our crowd, the cost would have been $58 for the day. Is it worth the cost? I think so. 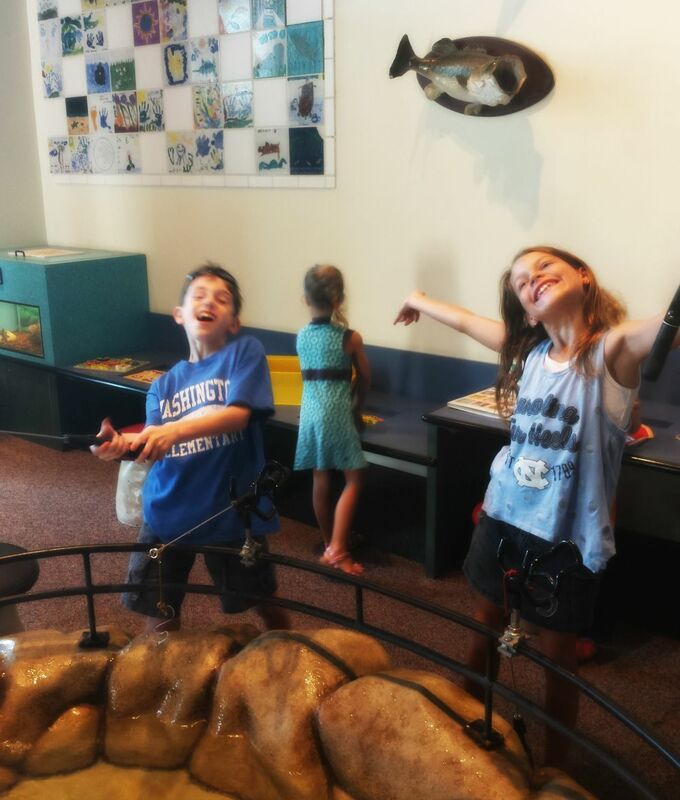 Our kids had fun, and three areas really stood out on our trip. Maybe we have future health practitioners on our hands, but HealthWorks really captivated our children's attention. Perhaps it was the oversized mouth full of teeth that they could brush or maybe the body is just fascinating in general, but we lingered in this area for awhile, and it was even requested for a "second visit to clean teeth" before we exited for the day. The second area where we spent a lot of time was SoundWorks. Let's face it, a giant keyboard to step on is just plain fun. 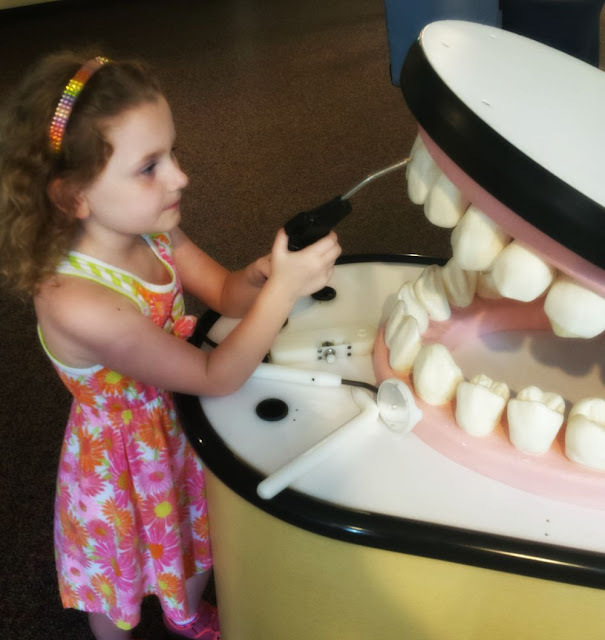 We didn't realize it at the time, but the third area our children enjoyed exploring was the Traveling Exhibit area of SciWorks. This past summer, the theme was Team Up: Explore Science and Sports. Team Up! is a traveling exhibition of Discovery Center in Illinois. There was also the "Little Builders" exhibit, geared toward ages 2 to 7. Our bigger kids liked it as well. With over 25,000 square feet of exhibits, and a 17-acre Science and Environmental Park, there is so much to do at SciWorks! We stayed about three hours and chose not to do the Planetarium or outside area due our time schedule. Picnic lunches are welcome. There is only a vending machine on site. Sorry, no on-site coffee, Moms! Moms in the Triangle must be huge coffee drinkers because we can get a coffee or drink (not alcoholic, even though we may need it) at any museum in the Triangle. Our kids had a blast and the day was all about them, but you would know that I was "glossing" things over if I failed to mention that visions of a cup of coffee danced about my head as the children played. 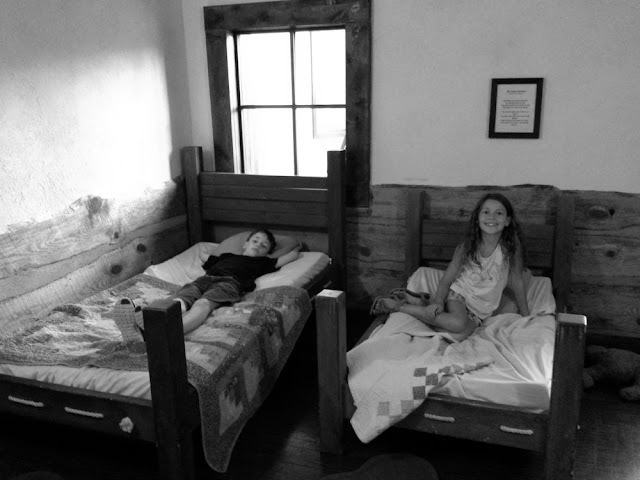 If you have never taken your kids to Old Salem then put it on your list. 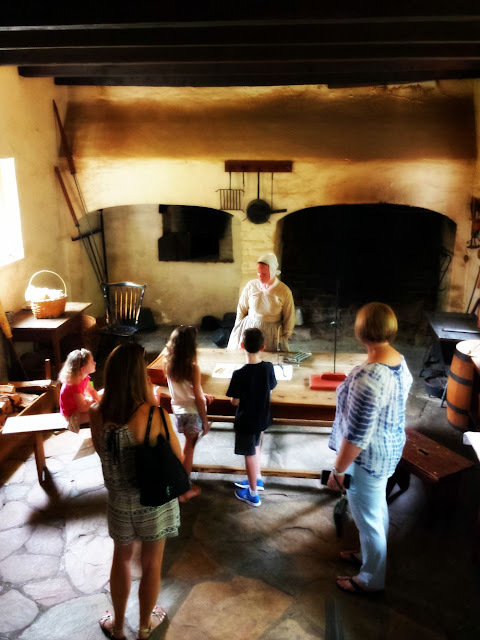 I think it is best suited for elementary school students and older, but our five-year-olds did quite well when we bribed them with a tavern lunch and Moravian cookies. Old Salem also realizes this fact about younger ones attention spans, and children under the age of six have free admission. Your best bet for cost is the all-in-on-ticket priced at $23 for adults and $11 for children. These prices also include admission to MESDA ( The Museum of Early Southern Decorative Arts) which we chose not to do with our children. It's a 45-minute guided tour of antiques and furnishings. We were short on time, but also knew that the younger ones would have hated it. 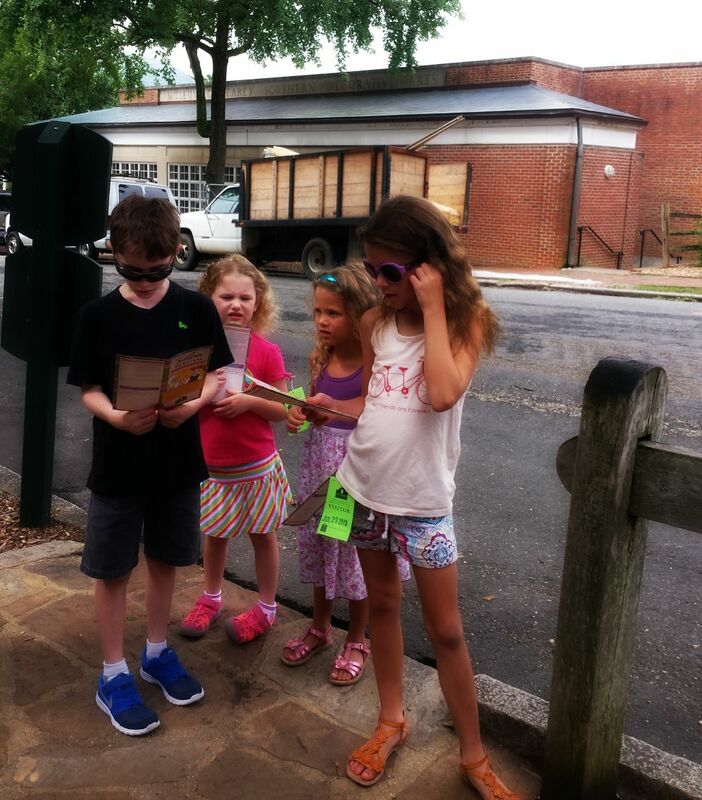 Old Salem has done a great job of keeping children's interest with the Old Salem Sleuth program. Kids read clues and then must give the answers to clues to the museum guides in order to get stamps. After completing a day of clues, children can turn in their guide for a prize. I think we all enjoyed learning about the history of Old Salem and enjoyed stepping back in time. You need to plan several hours here, and definitely make reservations for lunch at the Tavern. It's a fun experience with great food. The Children's Museum of Winston-Salem is less than a mile from Old Salem so we popped in for about an hour and a half before heading back to Raleigh. The museum closes at 4 p.m. 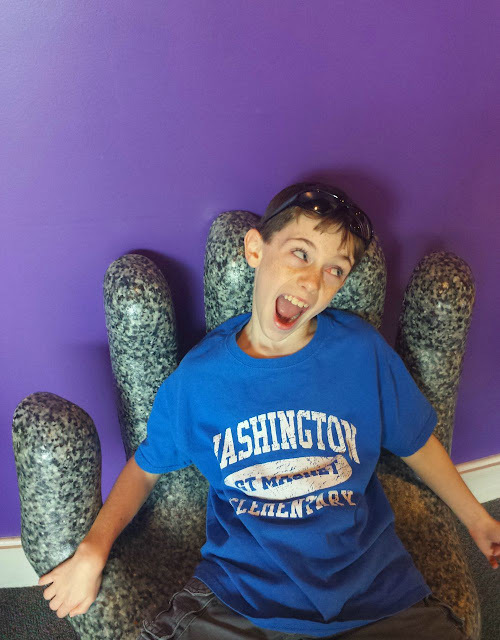 This museum is like a little fantasy land with fun climbing structures, and imaginative play. I can only imagine what a young child thinks when he sees the Krispy Kreme Doughnut Factory or the Enchanted Forest. Imaginations can soar here. The older two in our party, being nine, are really phasing out of the target age for this museum, but they still had fun. An hour here was enough for them, but our younger two really enjoyed it and it was a treat for them after exploring Old Salem. The Kaleidoscope climbing structure is certainly a highlight for all ages. 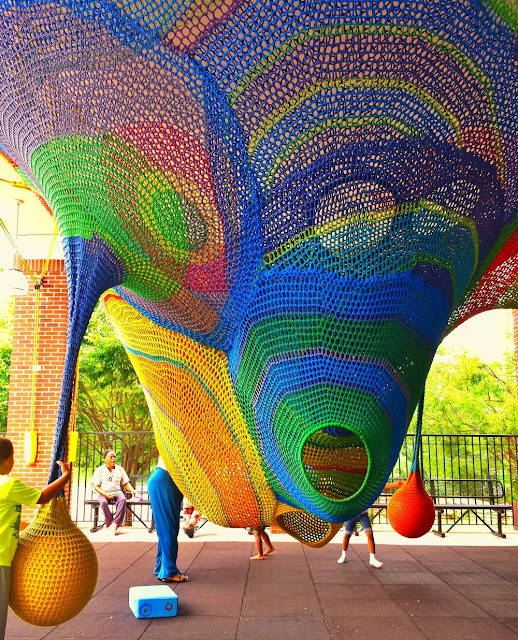 The Children’s Museum of Winston-Salem is the first location in the United States to host a crocheted wonder from renowned artist Toshiko Horiuchi MacAdam. Admission is $7 per person over the age of one. Memberships are also available. My thanks to Visit Winston-Salem for hosting our visit to these wonderful Winston-Salem attractions. Admission was provided by Visit Winston-Salem. Opinions about these attractions are my own and were part of a curated media visit. Hotel and food costs were our own. Where We Stayed in Winston-Salem, N.C.
Part of our experience for "these two moms with kids trips" is our desire to stay in accommodations where we can all be together. That's a tall order with six people. 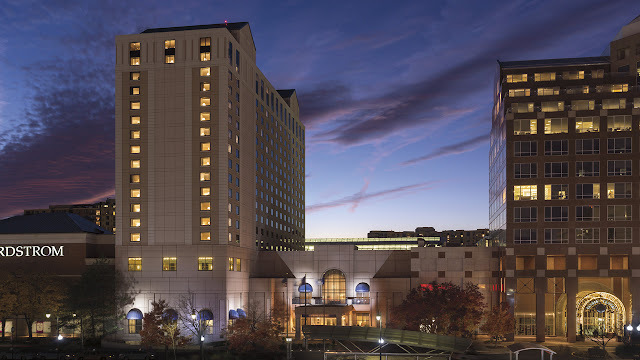 We found the desired space we needed in the Hilton brand of Embassy Suites in downtown Winston-Salem this year. This particular hotel has a two bedroom suite (one king bed, two double beds, and a sleeper sofas) with a living room and kitchen. The set-up was perfect, and we split the $200 cost after taxes for the one night. Breakfast and a manager's reception are included in the rate. We upgraded to the Premium suite which included complimentary snacks and a K-cup coffee maker. The complimentary snacks were a great deal, and it was basically unlimited snacks and water. Coming off of Ritz-Carlton hotel stay within a few weeks prior to this one, this full-service brand is no Ritz-Carlton or luxurious in any way, but the set-up was really good and it is perfect for families. It is a good 3-star rated hotel. The bedding was comfortable. Decor was nice. The staff was friendly. We were quite pleased. It was fun to get complimentary wine. The food at the hotel was very average so during a rain storm we walked over to its sister hotel, The Marriott, via the skywalk between the two lobbies for dinner. Boy, the Marriott has certainly upped its game with cuisine these days. I've seen this trend here at the Marriott in downtown Raleigh and now in Winston-Salem. We dined at Graze, a farm-to-table restaurant that wowed. I happily recommend this restaurant. 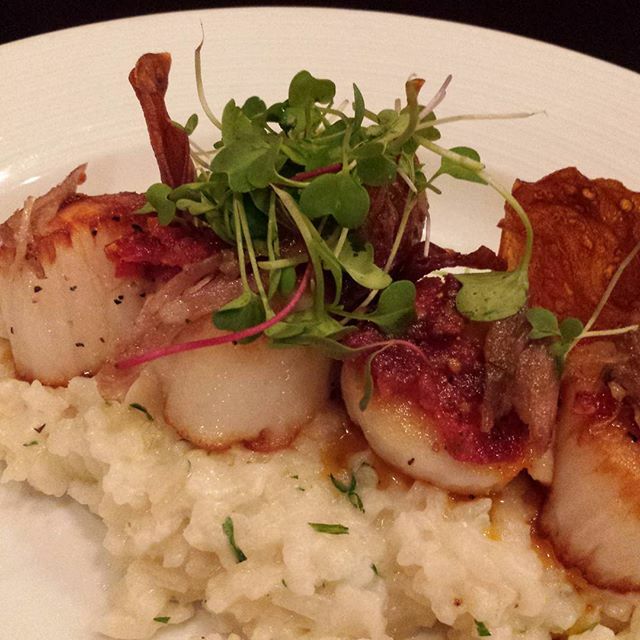 Graze chef Richard Miller will be competing in the statewide Competition Dining finals in Raleigh this fall. He clutched the win for the Triad area this summer. Graze had a wonderful kids menu and through all my work with hotels, I knew that hotel restaurants were used to hosting children. We had a perfect set-up in our own little alcove with two tables. The kids were at one, and my friend and I were at another. It was an ideal evening. 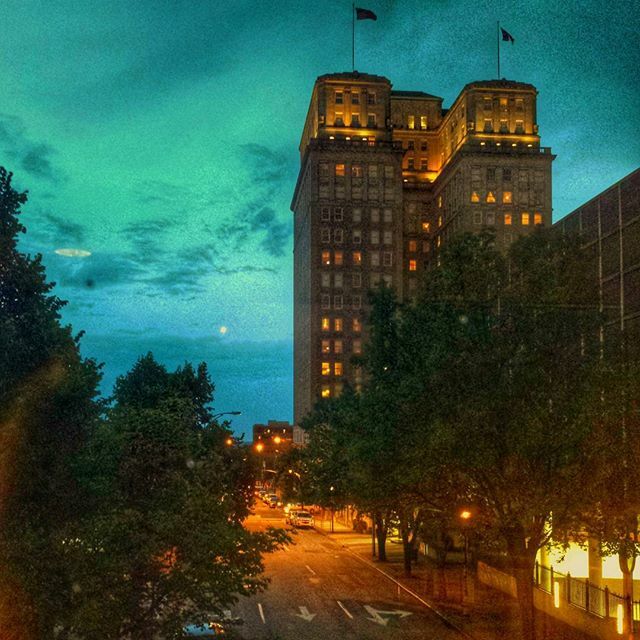 Plan your trip to Winston-Salem, N.C.